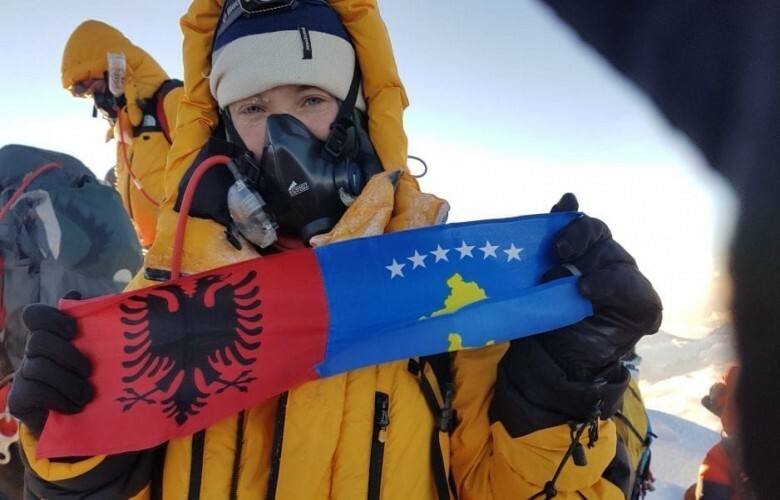 Uta Ibrahimi summited Everest in 2007 becoming the first Kosovo Albanian climber to bring the flags of both countries up there. As Rock and Ice magazine reports, Uta is now training to climb one of the most dangerous peaks on earth this year: the south face of Lhotse in the Himalayas. Uta and the team of experienced climbers she will join will attempt to climb through a slightly different route from the one Polish climber Jerzy Kukuczka took in 1989, unfortunately resulting in his death. Apart from being one of the tallest mountains on earth, standing at 8,516 meters, what makes the south face of Lhotse so dangerous and hard to climb is a 3,300-meter wall of ice and rocks that stands almost vertical. Bad weather, avalanches and falling rocks make it one of the most life-threatening routes. Some of the most experienced and famous mountaineers have not been able to beat this route. Only a Russian expedition of 18-members has managed to reach the summit through the south face of Lhotse in 1990. All other numerous attempts have failed, with a Japanese team getting the closest in 2016- only 41 meters from the top- before they decided to quit. However, for Uta this is a lifetime opportunity. She could not have turned down the invitation of South Korean mountaineer Hung Sung Taek to join his team of other experienced climbers. This will be Sung Taek’s sixth attempt – in 2017 he had to turn back only 200 meters before reaching the top. Uta Ibrahimi had a successful career in marketing in Kosovo before she decided to dedicate herself to climbing mountain summits. She is currently training in Colorado, US. Uta was recently named as a UN Champion for the Sustainable Development Goals (SDG). She is working to improve the gender equality and environment issues in the Balkans.